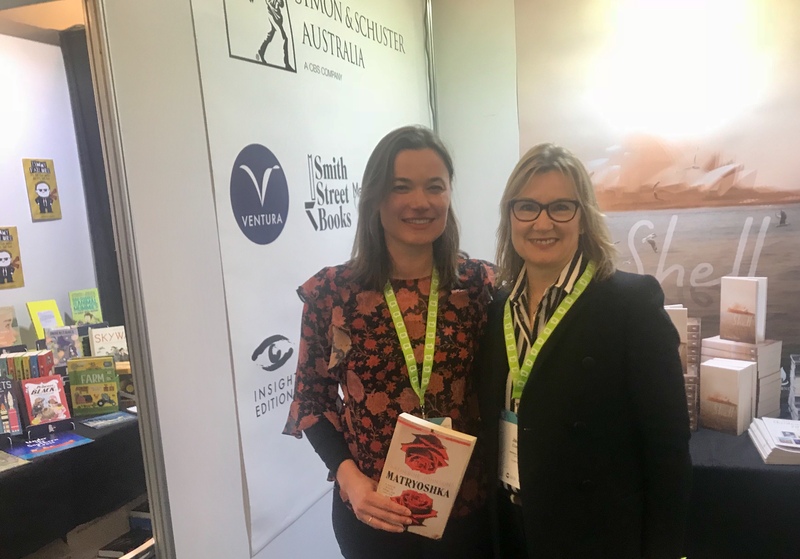 I was fortunate to attend the Australian Booksellers Association (ABA) tradeshow in Canberra recently to talk with booksellers about my upcoming novel, Matryoshka – a story of secrets, refuge and loves lost and found, set in Tasmania. The novel follows three generations of women of Russian heritage – hence the symbol of Russian dolls. What struck me at the tradeshow was the fantastic ecosystem that is Australian publishing – the publishers who all know one another and seem to be more colleagues than competitors, the booksellers, the writers. It’s an intimate and interconnected network with one shared interest: an absolute love of books. It was a privilege to attend. And I do love the cover of the new book. Warmest thanks to Ventura Press and Simon and Schuster. The Matryoshka cover reveal at the Australian Booksellers Association tradeshow. Katherine Johnson with the wonderful Jane Curry, Ventura Press.